The Connections Lab (cLab) is a research group, led by Dr. Carman Neustaedter at Simon Fraser University’s School of Interactive Arts and Technology (SIAT). Our group specializes in the areas of human-computer interaction, domestic computing, interaction design, and computer-supported cooperative work. We study the design and use of technologies aimed at supporting the everyday activities of families, co-workers, and community members. 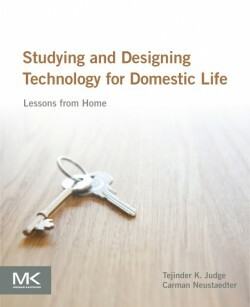 Domestic Computing: technologies to support family routines, communication, coordination, connectedness, health, and wellness. Telepresence: the design and use of video-mediated communication technologies from Skype or FaceTime to telepresence robots to the use of human proxies in indoor and outdoor settings. Contextual settings include the home, work, and telemedicine. Mobile Computing: the design and use of mobile devices (smartphones, tablets, smart watches) inside and outside the home, for work, play, leisure, and community engagement. Pervasive Games and Escape Rooms: the design and play of new genres of pervasive, location-based, and escape room games.